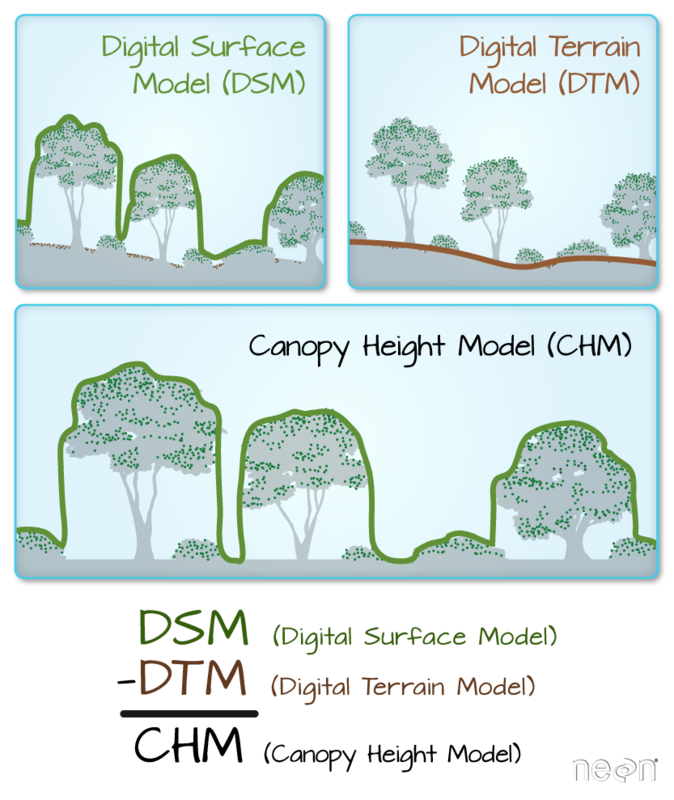 Define Canopy Height Model (CHM), Digital Elevation Model (DEM) and Digital Surface Model (DSM). Describe the key differences between the CHM, DEM, DSM. 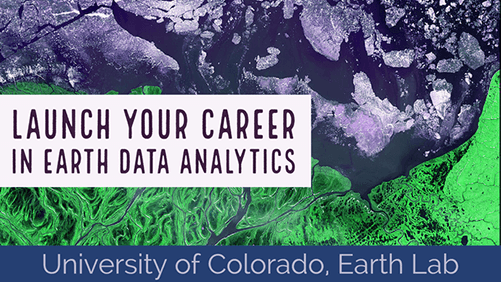 As you learned in the previous lesson, LiDAR or Light Detection and Ranging is an active remote sensing system that can be used to measure vegetation height across wide areas. Digital Terrain Model (or DTM): ground elevation. Canopy Height Model (CHM): the elevation of the Earth’s surface - and it sometimes also called a DEM or digital elevation model. In the previous lesson, you opened and explored a digital elevation model (DEM). The DEM, also known as a digital terrain model (DTM) represents the elevation of the earth’s surface. The DEM represents the ground - and thus DOES NOT INCLUDE trees and buildings and other objects. In this lesson, you will explore Digital Surface Models (DSM) and will use the DEM and the DSM to create a canopy height model (CHM). Raster plot of a lidar DEM. Next, let’s open the digital surface model (DSM). The DSM represents the top of the earth’s surface. Thus, it INCLUDES TREES, BUILDINGS and other objects that sit on the earth. Raster plot of a Lidar DSM. The canopy height model (CHM) represents the HEIGHT of the trees. This is not an elevation value, rather it’s the height or distance between the ground and the top of the trees (or buildings or whatever object that the lidar system detected and recorded). Some canopy height models also include buildings, so you need to look closely at your data to make sure it was properly cleaned before assuming it represents all trees! You will learn how to subtract rasters in the subtract raster lesson. Raster plot of a Lidar canopy height model.